Golden Oak Outpost is a great wilderness food stop. 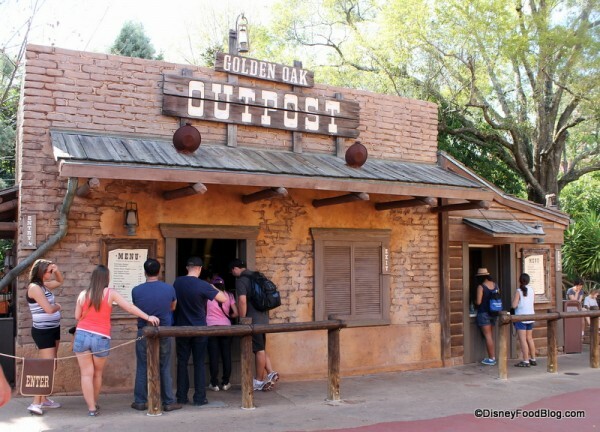 Located on the path between Adventureland and Frontierland (and Pecos Bill’s neighbor) in the Magic Kingdom at Walt Disney World, Golden Oak Outpost features a tiny and frequently-changing menu of mostly fried, delicious grub. There is outdoor seating here, but it’s right next to a designated smoking area. We’ve seen folks take their Golden Oak Outpost eats and flee to the AC of Pecos Bill’s, which is located right across the walkway. Chicken Nuggets (one of our favorite go-to Disney World eats) are available here, but two other, more intriguing options are now being served. And we grabbed them up since the menu here is so mercurial we’re not sure how long they’ll be around! The Barbecue Chicarrons are generously seasoned pork cracklings. This is a great grab-and-go option for those following a low-carb or ketogenic diet. 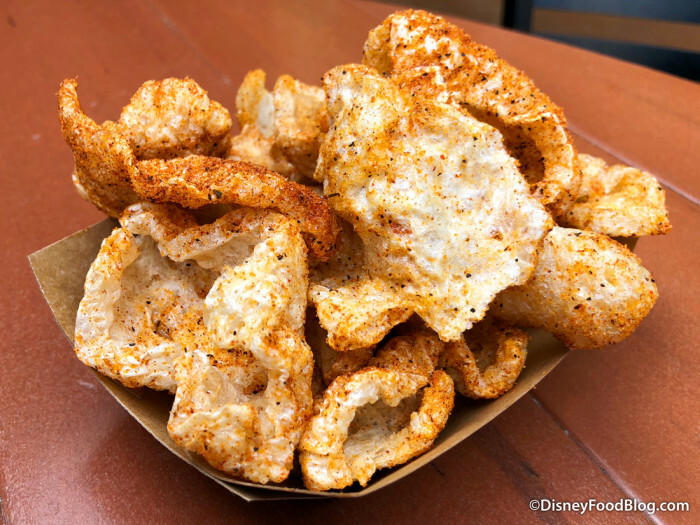 Since it’s SO difficult to find low-carb and keto snacks in the parks, this will be a welcome addition I’m sure. Seriously: if you’re in the mood for a snack with texture and a super-satisfying crunch, these are for you. They’re served freshly fried and hot. 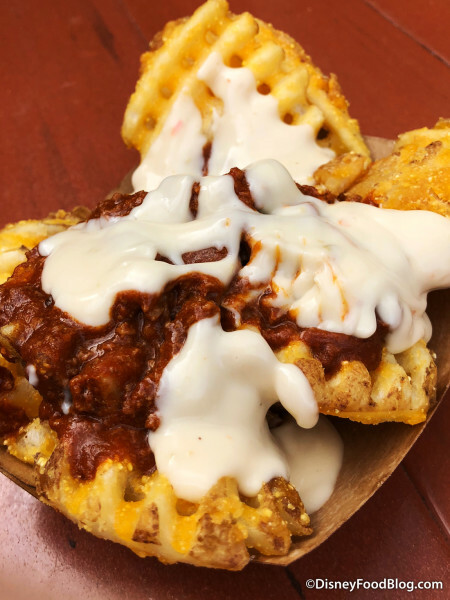 The other, no less awesome option here is Chili Queso Fries. 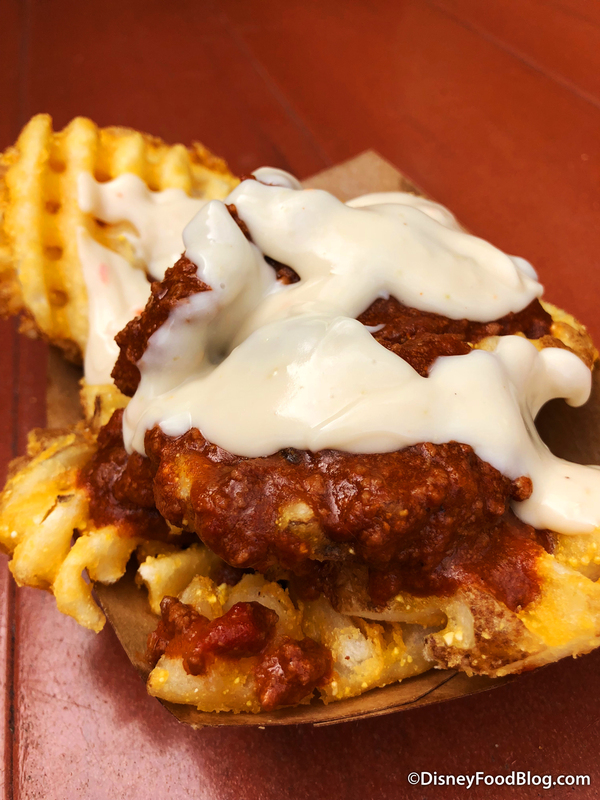 You’d be hard pressed to find a bowl of fries covered in chili and queso that we don’t like, and these are wonderful. The base of waffle fries is the real winner here: crispy and sturdy enough to handle the toppings. The chili is also good. It’s a ground beef chili and has good flavor. The contrast/marriage between the queso and the chili is spot-on. 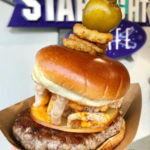 Oh — and if you’re worried about soggy fries (or you have a picky eater who isn’t havin’ the sauces on top), you can ask for the toppings on the side. 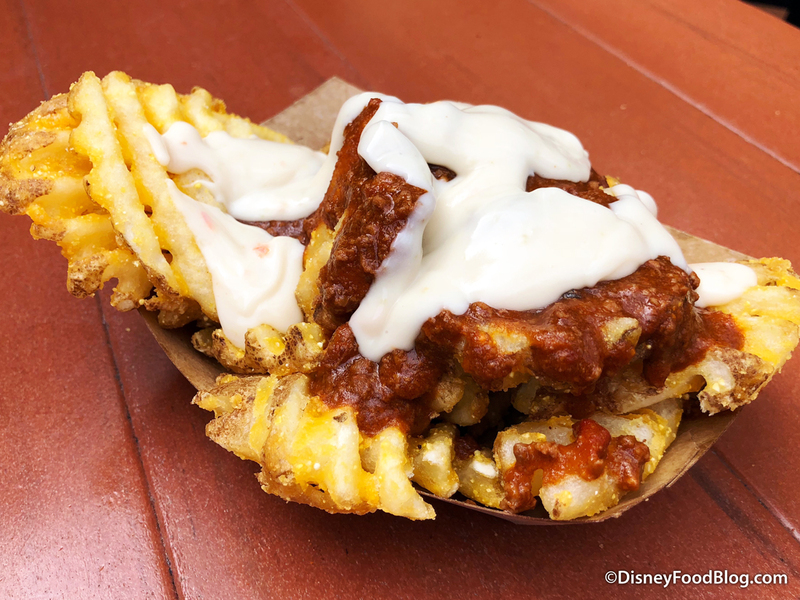 We’ve had a few readers and followers give us the tip to take these chili queso fries over to Pecos Bill’s to load them up with the toppings bar. 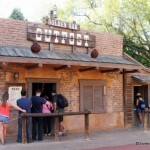 You can let your conscience be your guide on that one — especially if you didn’t purchase anything at Pecos Bill’s. 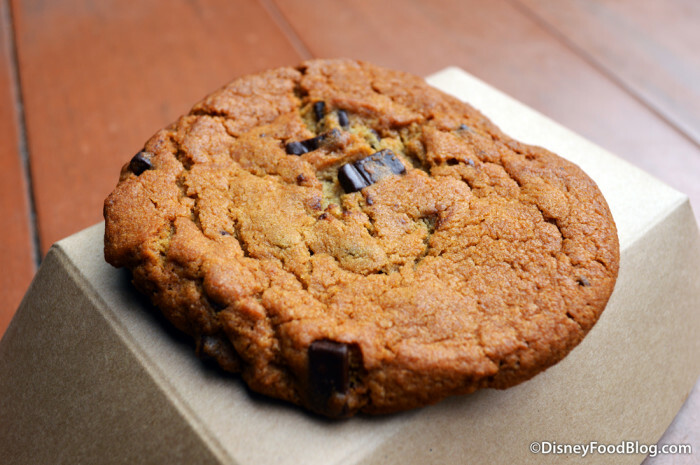 Finally, we’re sharing this not-super-new warm Chocolate Chip Cookie, which you can also pick up at Golden Oak Outpost. 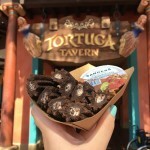 It’s a standard (read: not boring but actually totally irresistible) Walt Disney World cookie, but the bonus if you get one at the Outpost is that it’s served warm. 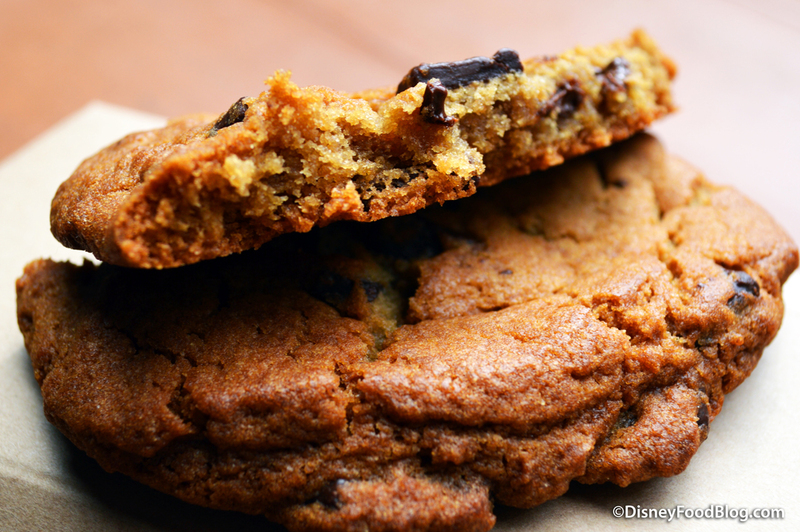 And that’s a good thing because those chocolate chunks… they were born to be melty. 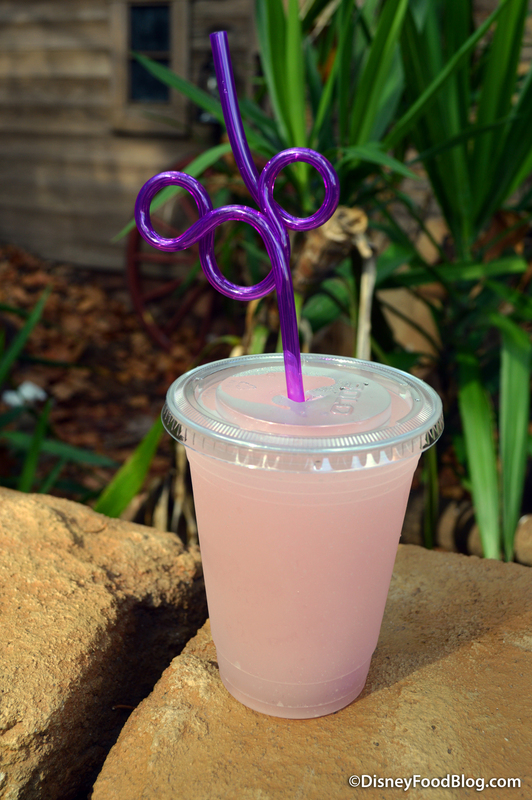 You can also pick up a refreshing Desert Pear Lemonade Slushy here (review on DFB forthcoming!). 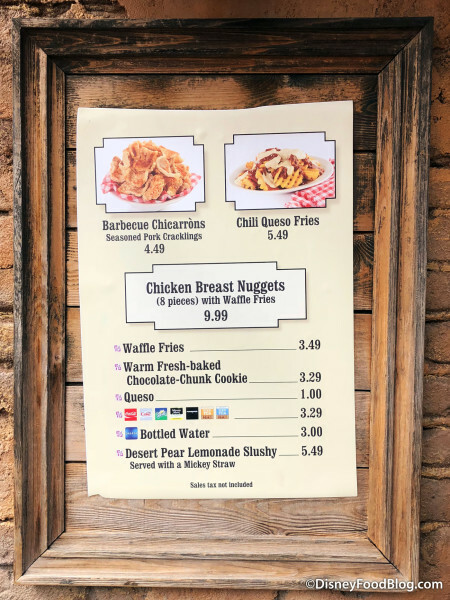 We love to visit the Golden Oak Outpost, and not just because we appreciate a good fried everything when we’re on our way to brave Big Thunder Mountain Railroad. They often have new items for us to try. And the current menu is a delicious win! 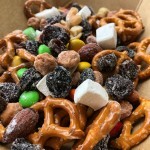 And if you’re looking for even more snackage at Walt Disney World, look no further than our DFB YouTube Channel! We have about ten zillion snack videos (we might be a little obsessed — but who could blame us?!). What’s your favorite little-known snack haven? Let us in on the secret in the comments below! Slightly off topic, but have these smoking areas always been there? We noticed one at the UK pavilion in Epcot last month right where we usually listen to British Revolution and another near Norway I believe that wafted smoke as we were walking by. I respect the benefits of providing smoking areas to guests that want them, but not where they interfere with everyone’s else enjoyment. 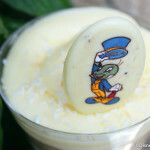 Do you know what is the best Disney email to raise this? Thanks! Still, there are a ton of people who can’t and this is such a great option. I need get those fries when I’m there this weekend! Still mourning the loss of the gravy-topped waffle fries here but queso type looks good. Love the desert pear lemonade slushy & used to get it in non slushy-format at the Studios where it went great with a Darth Vader cupcake! ^_~ The desert pear’s my fave layer in the Night Blossom too. Caryn, the number for non-reservation questions is listed at the bottom of this page on the official WDW Web site. Hope this helps! 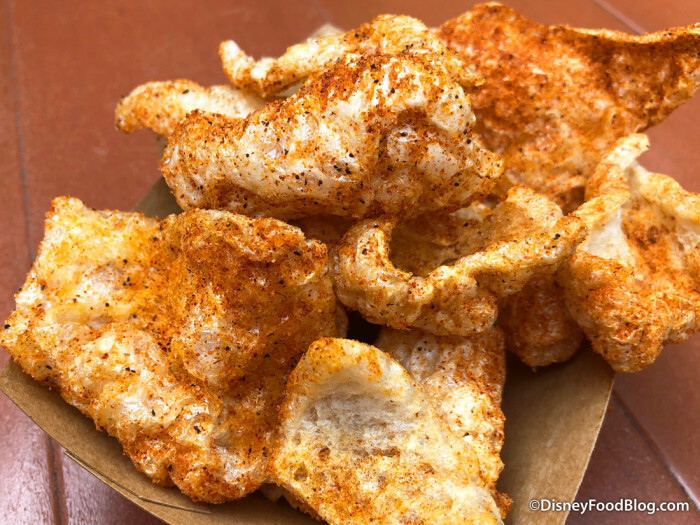 Are the pork rinds gluten free (allergy friendly)? Michaila, we’re not sure. 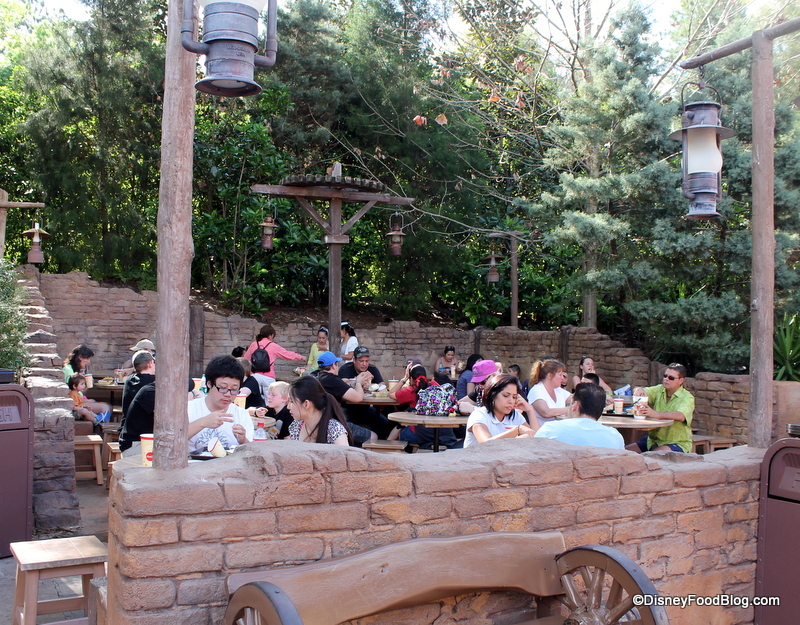 You can ask the cast members at Golden Oak; they will have a binder of ingredients and allergens.